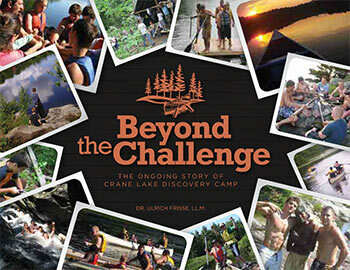 A community engagement book that beautifully captures the story of faith-based volunteerism, unwavering commitment to at-risk boys and the healing powers of therapeutic wilderness camping that is Crane Lake Discovery Camp. The book has helped us share our story numerous times. It never tires of conveying our mission, values and vision as it sits on many coffee tables and is shared with campers and their families, agency partners, donors, corporate sponsors, and many others. We are using the book as a tool to connect with our target audiences on an almost daily basis. The book continues to work exceptionally well for us in fundraising, having created some real return on investment, as it quickly conveys to a potential donor the roots, vision and the heart of what we are trying to accomplish as a charity committed to changing lives. A story of great inspiration, CLDC is built on the dream and passion of Camp Director Ron Weber and his team to create real and lasting change in the lives of at-risk youths and their families. Operating on the concept of therapeutic wilderness camping, CLDC uses its 200 acres of pristine wilderness in the heart of Ontario’s Muskokas for youth to learn and continuously work on improving important life skills to allow them to eventually live lives of freedom, accountability and choice. 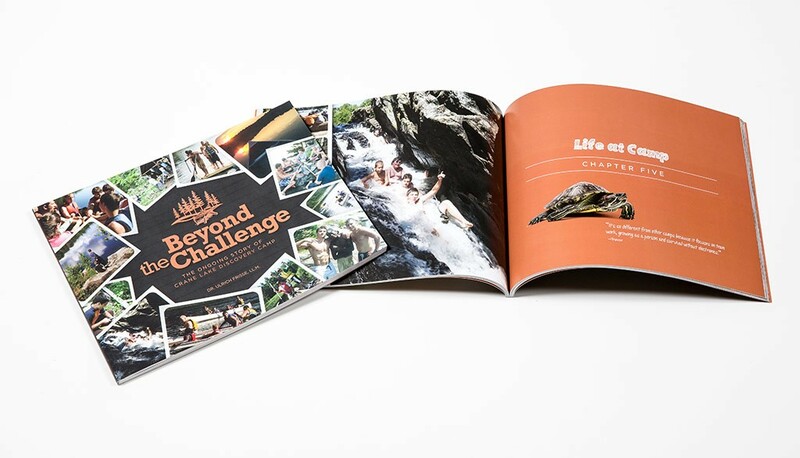 When the CLDC leadership team commissioned us to tell the story of their camp ministry, it was led by the objective to create a multi-purpose publication that could be used as a ‘thank you’ to donors, partners and the existing CLDC community during the ministry’s 10th anniversary year. Beyond that, CLDC was looking for an inspiring fundraising tool and tangible way of reaching out to campers and their families, agencies, donors and the larger community. 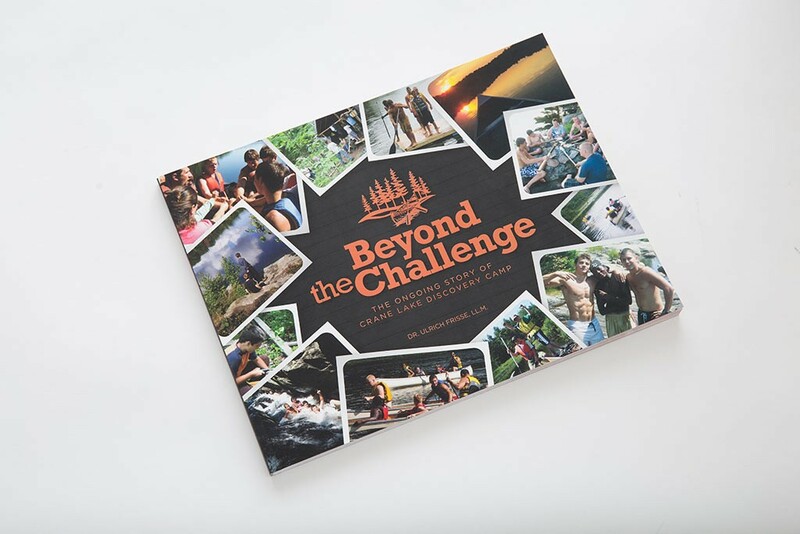 For founder Ron Weber and his team, the book would further play a strategic role in facilitating the ongoing transitioning of camp into a year-round resource for campers and their families in acute crisis situations. 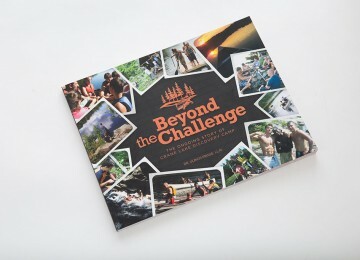 Released at CLDC’s tenth anniversary celebration, Beyond the Challenge zooms in on the foundational dream behind operations and on the commitment and impact that camp has had in the lives of campers over the years. 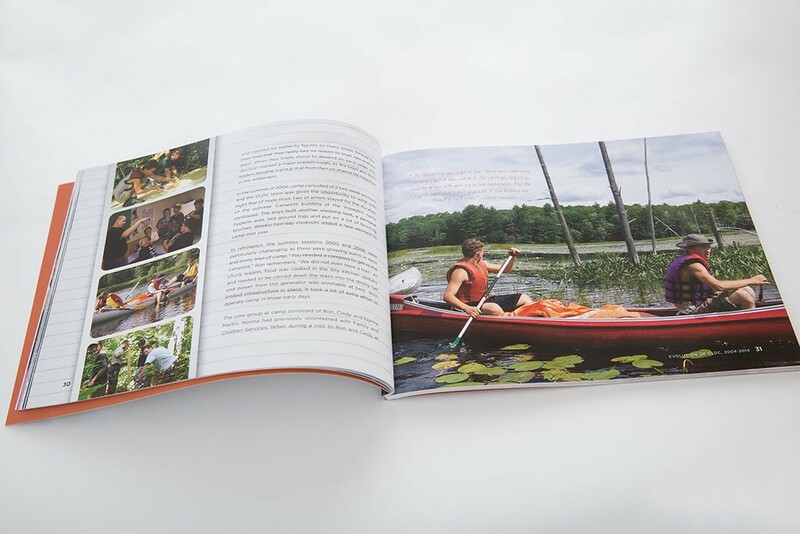 With hundreds of pictures presented in a relaxed design pattern of ‘organized randomness’ resembling campers’ pin boards and note books, the design reflects the goal for the book to be true to camp and easily accessible to the wider CLDC community. An easy and playful writing style we call ‘associative writing’ organizes content around inspiring words, playing on the hashtag concept popular among campers. Testimonials scattered throughout the book give campers their own voice, authentically portraying the impact of camp through the experiences of those being served. 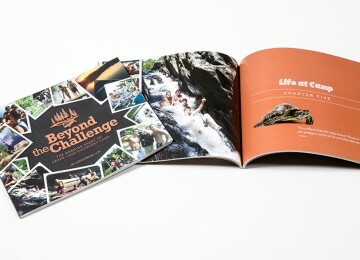 Together, design and content convey the experience of camp from the inside out.